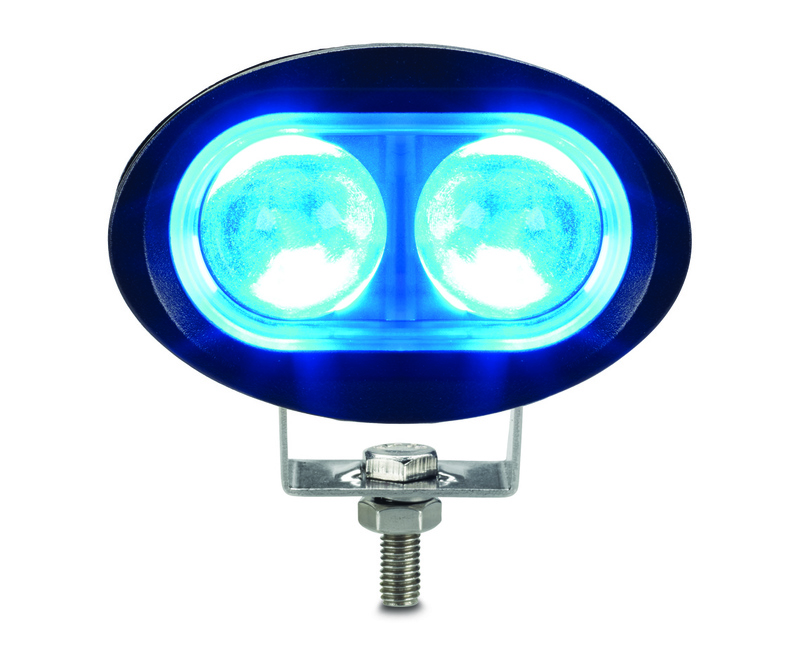 Model COMFL1-B-IS is a Blue Forklift LED light designed to improve work area safety. This safety light alerts pedestrians and other vehicles with a steady blue signal warning that a forklift is approaching. COMFL1-B-IS contains (2) 5W Blue LEDs which projects an intense, steady beam onto the floor surface. This safety light has a compact design that is approximately 3" deep and 3.8" wide. It also includes a U-bracket to accommodate front, back, or side mounting on a forklift. 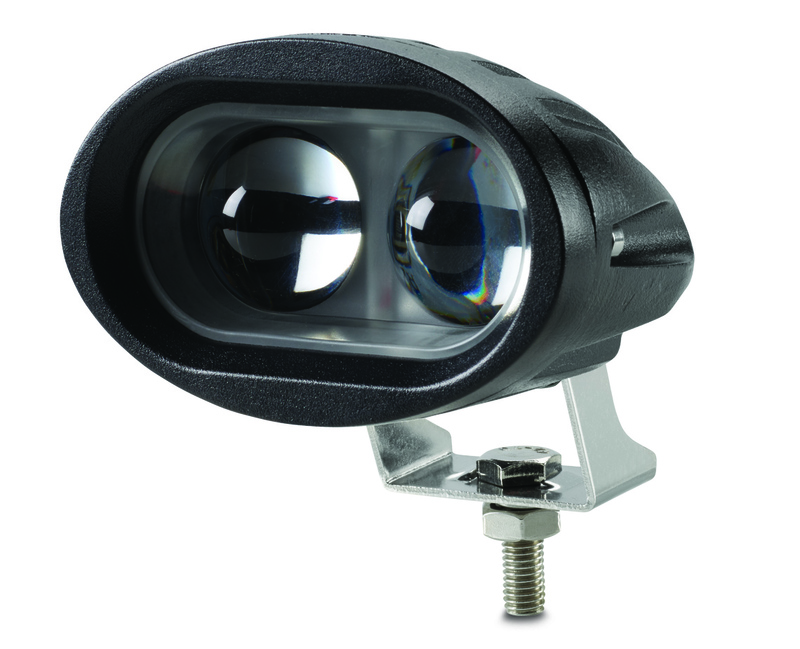 COMFL1-B-IS features a die-cast aluminum housing with polycarbonate lens and is available as a 10-80 VDC model.